PolicyGenius is the easiest way to get insurance. Want to help people get the financial protection they need & feel confident in their choices? 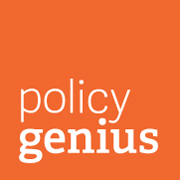 Policygenius is a NYC-based tech startup that makes it easy to compare & buy insurance online. Since 2014, weve raised over $52 million of venture capital, established ourselves as a pioneer inFintech & helped more than 4.5 million people get vital coverage for their families. We're rapidly growing & looking for people with grit, great attitudes & creative problem-solving skills to join our powerhouse team. Come see why we were voted one of INC's best workplaces of 2018! At Policygenius, marketing covers a broad scope of activities from customer acquisition & retention to our educational content on our site. Our acclaimed marketers use data everyday to measure performance & squeeze as much value out of our efforts as possible. We also rely on data to inform critical decisions that drive our business forward. With an eye towards continuous improvement, you will support & shape marketing strategies that will materially impact the bottom line. As part of the Business Intelligence team, this role will dive into the unique challenges of marketing analytics to reveal insights & drive them to action. Incorporate data & insights from adjacent functions, e.g. customer profiles, marketing activities, website design & development, downstream conversion, etc.